Among contemporary writers of Iran, the majority of whom are men, one woman stands out: Simin Daneshvar. Her work has developed and matured since the late 1940s, and today she is known as one of Iran’s best fiction writers. Her masterpiece novel Savushun (Mourning for Siavash), published in 1969, is considered the climax of Persian novel writing. Daneshvar, like most contemporary Iranian writers, came from a middle-class family. Born in 1921 in Shiraz, she was educated in a missionary school and became fluent in English. She began her writing career as early as 1935, when she was still an eighth-grader. Her first article, “Winter Is Not Unlike Our Life,” was published in a local Shiraz newspaper. She entered Tehran University and majored in Persian literature. When her father, a physician, died in 1941, Daneshvar was forced to find a job, as the family’s only source of income had been her father’s salary. She was employed at Radio Tehran, where she wrote a series of programs entitled “The Unknown Shirazi,” for which she received scant pay. In acute need of money, she even wrote articles on cooking. Eventually, her fluency in English enabled her to become assistant director of foreign news. But she soon became dissatisfied with the routine nature of this job and left Radio Tehran for a newspaper called Iran, for which she wrote articles and did translations. The relaxed social and political environment of the forties, marked by some degree of democracy and freedom of speech, prompted Daneshvar to choose journalism as a potential career. During her year at Iran (1941-1945), she decided to try her hand at fiction writing. Later, without prior knowledge of story-writing technique, she wrote Atash-e Khamoush (The Quenched Fire) in 1948, at the age of twenty-seven. Although seven out of sixteen stories are O. Henry inspired, and Daneshvar had the book published in first draft form, the major elements of her style are evident. Daneshvar had become familiar with O. Henry as a student, and like him she deals with the basic issues of life, death, love and self sacrifice. Typical of writers of the 1940s, Daneshvar dwells on issues within Iranian society. She juxtaposes the opposing values of right and wrong–such as poverty versus wealth, or the carefree life of the rich versus the sorrow of the poor–and for moral reasons condemns one while praising the other. Daneshvar’s characters in The Quenched Fire are generic types like “professor,” “mother,” or “daughter,” characters without time, place or class who hardly possess a personality. Her lifelong concern with women and their place in society is apparent in her narrative as early as The Quenched Fire. However, at this early stage, Daneshvar does not analyze the socio-economic dependence of women; rather, she is concerned with the general position of women in society. Technically, Daneshvar’s major preoccupation at this time was her conscious distinction between the “I” of the author and the “I” of a character. Dual narration in some of her stories made them technically weak. The Quenched Fire, however, was well received, despite its shortcomings–perhaps because it was the first collection of short stories published by an Iranian woman. Later, Daneshvar refused to have the book reprinted, stating that she would never again turn in a first draft to a publisher. The year following the publication of The Quenched Fire, Daneshvar received her Ph.D. in Persian literature from Tehran University. Subsequently, she became acquainted with Jalal Al-e Ahmad, the famous contemporary writer and social critic, during a trip from Isfahan to Tehran. They were married in 1950. Two years later, Daneshvar received a Fulbright scholarship and left for Stanford University for two years. During this time, she published two short stories in English in The Pacific Spectator. Upon her return to Iran, she joined Tehran University as an associate professor of art history, a post she held for twenty years. Daneshvar was never granted a professorship–not for the lack of credentials, but due to the influence of SAVAK, the secret police, as she would learn later from the president of the university. She had always been an outspoken and articulate lecturer who believed that her primary responsibility was to her students. Precisely for this reason, she would have many confrontations with the SAVAK throughout her years at the University. 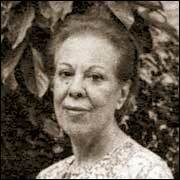 Daneshvar published her second collection of short stories, Shahri Chon Behesht (A City as Paradise), in 1961. Meanwhile, her translations of Chekhov, Shaw, Hawthorne, Schnitzler and Saroyan had become a valuable addition to the collection of foreign works available in Persian. In A City as Paradise, Daneshvar’s prose style had matured considerably, coming closer to the language of the people, no longer as formal as it had been in The Quenched Fire. Instead she had developed a short, clear and concise sen- tence structure. It was from this time onward that she tried to bring her writing closer to cinematographic realism. Her earlier preoccupation with the presence of the “I” of the author is, however, still present in some of the stories in this volume. It is only in The Playhouse, the last story, that she finally succeeded in freeing her prose of this distracting element. Her other preoccupation, which began at this stage, is with the concept of time. Similar to Al-e Ahmad and Sa’edi, she felt the need to remind her readers constantly of the passage of time in the form of days, weeks, months or seasons. In The Accident, the length of the argument between the husband and wife over the purchase of the car is made clear by: “It took three weeks for me to surrender,” or “In three months and eleven days my wife . . .” Daneshvar asserted her devotion to recording women’s conditions in Iranian society in A City as Paradise. Here she no longer dwells on the general characteristics of women; rather, she assumes a neutral position and avoids passing judgement on them; she merely portrays the women and their lives as she saw them. Her characters are able to speak for themselves and demonstrate where their major strengths and weaknesses lie. She is also quite successful in creating the real, as well as the imaginary, worlds of her characters. In Bibi Shahr Banu, Daneshvar cleverly depicts the actual lives of her characters, juxtaposed against the lives they wished they could have had. In The Playhouse, her handling of Siah’s character and his secret love for the girl is subtle, yet far-reaching. In her portrayal of the girl as a victim of society and of her own ignorance, Daneshvar surpasses all of her prior stories. At the time A City as Paradise was published, Daneshvar was still under the shadow of her husband, Al-e Ahmad, who was an imposing figure in Tehran’s literary circles. Al-e Ahmad had begun writing in 1945 and by 1961 had published seven novels and short story collections, establishing himself as a notable writer and critic. It was not until the publication of Savushun, Daneshvar’s masterpiece novel, in 1969, that she attained recognition as an indispensable writer of modern Persian literature, surpassing even Al-e Ahmad in literary importance. Savushun was the first novel written by an Iranian woman and from a woman’s perspective. The book has been reprinted sixteen times and to this date remains the single most widely read Persian novel. In Savushun there are no longer traces of weak technique, structure, or style. The story, told from Zari’s perspective, depicts a Shirazi landowning family which has become entangled in the dirty politics of the 1940s, instigated by foreign intruders and local opportunists. The hero, Yusuf, Zari’s husband, resists the foreigners’ demands that he turn over his crop to feed the occupying army. To do so would result in the starvation of his own peasants. He pays for his stubbornness with his life. The last scene of the novel is that of Yusuf’s burial procession, which is on the verge of turning into a mass demonstration. However, government troops disperse the demonstrators, leaving his body to be carried by his brother and Zari. This scene is among the most moving and well written passages in Persian literature. In Savushun, Daneshvar integrates social events, traditional customs, and beliefs, creating a beautifully narrated story. Daneshvar depicts the lifestyles of the lower classes, the traditional middle class, and the bourgeoisie with equal clarity. Through her characters one becomes familiar with these various classes. A few examples will help illustrate the diversity of her female characters. Nadia in The Accident is a bourgeois woman who sacrifices her marriage (and potentially the happiness of her children) to further her desired social image. On the other hand, Zari inSavushun is a traditional middle class, educated woman from a feudal family. She nobly accepts her husband’s self-sacrifice, devoting herself to carry forth his principles of justice and humanity. In contrast, the protagonist in another story, Anis, is a lower middle class woman with aspirations of social mobility. A maid who has come from a village to Tehran, she is impressed by the bourgeois lifestyle. Seeking to emulate it, she abandons her self respect, individuality, and economic independence. Marmar in Vakil Bazaar is a careless maid who foolishly loses her master’s daughter because she cannot tear herself away from a shopkeeper’s flirtations. Daneshvar does a brilliant job reproducing Marmar’s language. The expressions and idioms Marmar uses are common among the women of her class. Bridging the gap between the spoken and written language has been a major preoccupation of contemporary Persian writers. It is mainly through dialogue that a writer can exercise this practice. Daneshvar, however, is successful in reproducing the cadence of spoken language throughout the whole text, not merely in the dialogue. Daneshvar is particularly concerned with elderly single women who have worked their entire lives to earn a living, but find themselves poor and broken-hearted in their final years. In To Whom Can I Say Hello? Daneshvar sympathetically depicts Kokab Sultan, a hardworking woman who raises her daughter with great difficulty. Having devoted herself to creating the best possible life for her child, she is forced to sell her daughter into marriage when her only source of income is taken away. Daneshvar, who has adopted the plight of the lower classes, especially that of poor women, considers their economic dependence on men as the source of all their misfortune. She largely blames the structure of society for this condition. Muhtaram, the daughter of a poor cobbler in The Man Who Never Came Back, marries Ebrahim, a peddler. She is so thrilled with the few extra material things she finds at her husband’s house that she does not realize that she is still living in poverty. She becomes aware of the desperation of her situation one day when Ebrahim does not return home. Left with little money, no skills, and two small children, she is forced to acknowledge her complete dependance on her husband. This time, though, Muhtaram is lucky and Ebrahim returns home unharmed, saving them from starvation. Although Daneshvar underscores the social factors contributing to the unfortunate situation of women, she nevertheless maintains her objectivity, at times turning her critical eye upon the individual. Her characters provide role models that are both positive (Zari in Savushun, Maryam in Bibi Shahr Banu, Kokab Sultan in To Whom Can I Say Hello? ), as well as negative (Nadia in The Accident, Anis in Anis, the girl in The Playhouse). Out of the changing social milieu of the 1960s and 1970s, writers found it far more difficult to develop believable, progressive characters than to recreate negative characters that were easy to mock. For instance, in The Traitor’s Intrigue, one observes the colonel’s character development. An unsympathetic charac ter at the start, he evolves into a positive model by the end of the story. He finally stands on his own two feet, asserting his individuality in the face of the regime, disrupting the old order. Folklore and traditional Persian customs preoccupied writers in the 1960s and 1970s. Much of Daneshvar’s work encompassed traditional customs and rituals. She reminds the reader of the virtues and vices of such traditions. Her fiction details superstitions that have survived for centuries, embedded in the extreme religiosity of the lower classes. The common practices of casting away evil spirits and unlocking misfortunes by resorting to magical prayers and witchcraft appear again and again in her stories. Kokab Sultan in To Whom Can I Say Hello? wants to learn the infamy prayer so that she can curse her son-in-law and win her daughter back. The family of the mullah in the Vakil Bazaar want to save their son from the evil spirit which has taken over his body by exorcising him, and offering ablutions and prayers. Daneshvar has no qualms with traditional religious ceremonies and rituals like visiting holy shrines, baking Nazri (an offering of food to the poor), and performing the daily prayers. She does, however, oppose religious superstition, which can brutalize people’s lives. In 1979, Daneshvar retired from her post at the University, and in the following year published To Whom Can I Say Hello? In 1981, she completed a monograph on Al-e Ahmad, Ghoroub-e Jalal (The Loss of Jalal). This is the most moving piece she has written, as well as the best descriptive work on the personality of one of Iran’s literary leaders. Daneshvar relates her last days with Al-e Ahmad with great detail and emotional understanding. Her prose is formal, proving her mastery of Persian classical literature. Daneshvar currently resides in Tehran and has recently completed a new novel, Jazireh-ye Sargardani (The Wandering Island). Until the appearance of Daneshvar, contemporary Persian literature could boast of only two able women writers–Parvin E’tesami and Forough Farrokhzad–both poets. Daneshvar proved that women could also achieve excellence in prose. Her works stand as precious contributions to the world of fiction in Iran. As a woman and as a writer, she is a model of the up-and-coming women authors who want to address social concerns. Persian literature today has considerable value, especially when viewed as a mirror of society as well as a medium to influence it. Contemporary Iranian writers like Daneshvar have taken it upon themselves to create a link between literature and social change.